There is an old grower's adage about plant size -- "If it's not growing, it's dead". Aware of this truism, Johnson's Nursery provides a range of mature heights and spreads for shrubs, trees, and evergreens. A plant’s mature size and how well it performs commonly depends on a range of factors like the site where it’s planted. 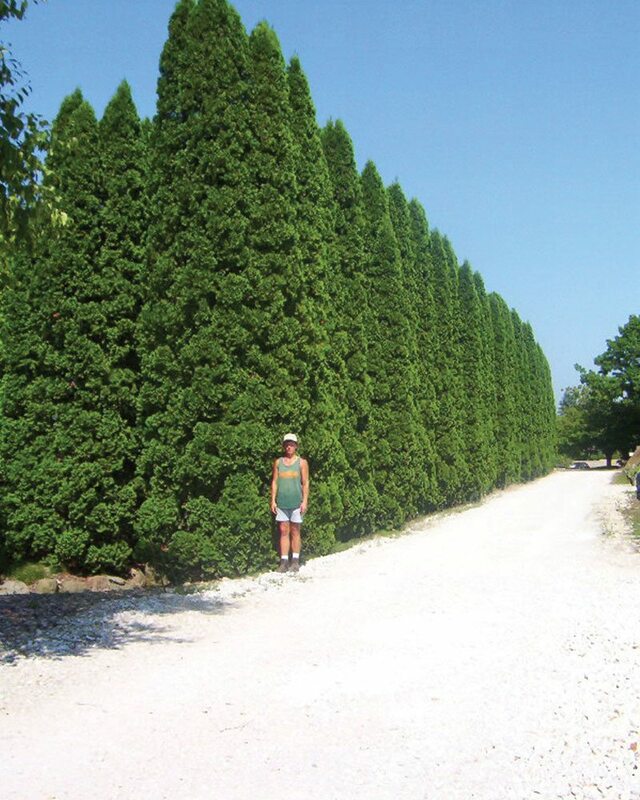 We’ve scouted box stores and have seen potted Emerald Arborvitaes with a tag saying it gets 6 feet tall – which is true – it will. 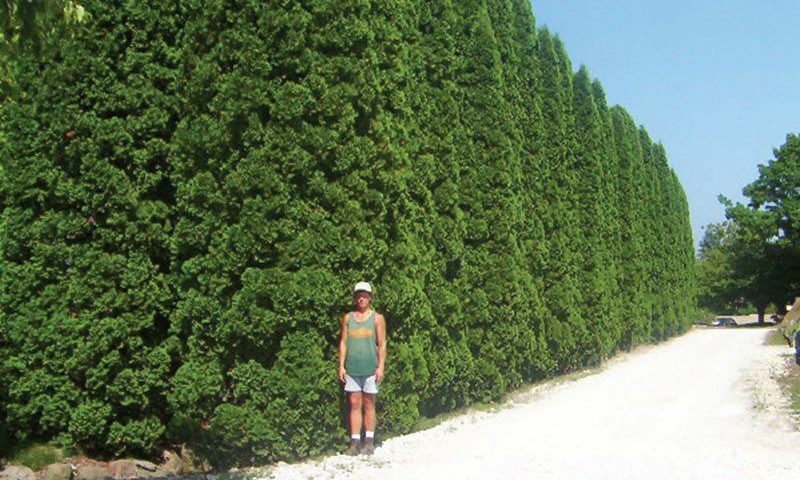 We often stock beautiful 8 foot B&B Emerald Arborvitaes in our holding yards, and we guarantee you they will keep growing...up to 25-30 feet tall. Plants that top out at 6 feet, like Green Mountain Boxwood, are rarely salable in that size, because they are very slow growing plants. The larger you go in the beginning, the larger upfront investment is needed, because those plants sat in the fields, growing. Or if the plant is container grown, it may have been upgraded to a larger container in production. Johnson’s Nursery grows gorgeous, field-grown large and specimen plants, but they certainly come with a larger price tag than a smaller southern-grown #2 container often found at box stores. Be aware! Sometimes those great deals are not so great. If the plants were grown and shipped from the Deep South, they will likely struggle to survive Wisconsin winters -- but that's another topic for another day. Please do your homework prior to any plant purchases. It will save you loads of head and heartache in the future.